To celebrate the upcoming DVD and Blu-ray release of NARUTO SHIPPUDEN THE MOVIE: BONDS (in stores October 25th), and the birth month of the Naruto character, VIZ Media has just announced the addition of the NARUTO SHIPPUDEN THE MOVIE: BONDS (dubbed) to the special NARUTO movie marathon on VIZAnime.com, the company’s own website for free anime, as well as on the streaming content provider HULU (www.Hulu.com). A total of 5 feature films featuring the spunky ninja are now available to stream from both sites thru October 23rd. 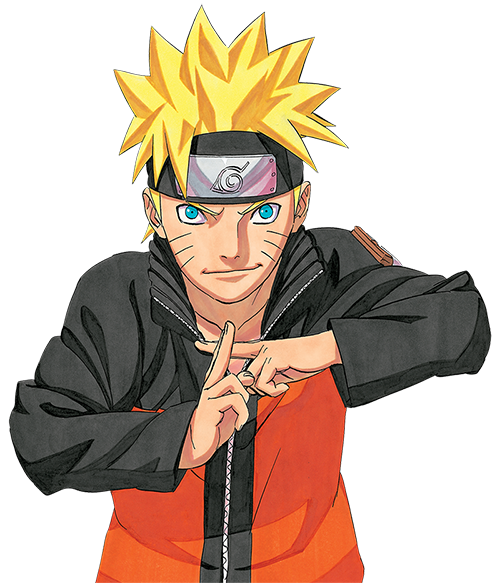 The marathon includes NARUTO THE MOVIE: NINJA CLASH IN THE LAND OF SNOW, NARUTO THE MOVIE 2: LEGEND OF THE STONE OF GELEL, NARUTO THE MOVIE 3: GUARDIANS OF THE CRESCENT MOON KINGDOM (all movies rated TV-14), available with either subtitled or English dubbed dialogue tracks. NARUTO SHIPPUDEN:THE MOVIE is also available dubbed on both streaming sites. In NARUTO SHIPPUDEN THE MOVIE: BONDS (rated TV-14), a group of mysterious flying ninja have arrived from overseas to launch a sudden attack against the Hidden Leaf Village, leaving behind a wake of destruction. The group is revealed to be the “Sky Ninja” from the Land of Sky, a nation thought to have been destroyed by the Hidden Leaf Village long ago. To save their village, Naruto and his friends set out to stop this new threat. During the course of the mission, Naruto crosses paths with Sasuke, his friend who has parted ways from the Leaf Village. The NARUTO movie marathon may be accessed from the dedicated site at www.VIZAnime.com/naruto-movie-marathon/. More information on NARUTO SHIPPUDEN THE MOVIE: BONDS is available at www.Naruto.com and www.VIZ.com/naruto-shippuden-movie-video.